HFG worked in 11 Nigeria states: Akwa Ibom, Bauchi, Benue, Cross River, Kano, Kebbi, Lagos, Nasawara, Osun, Rivers and Sokoto. 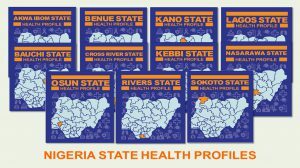 Click to read State Health Profiles in Nigeria prepared by HFG Nigeria. According to UNAIDS, more than 3.4 million Nigerians are living with HIV. Donor funding accounts for over 70 percent of the financing need for the HIV and AIDS response, however, external funding is projected to remain stagnant for countries like Nigeria that have resources to combat the epidemic themselves. To close the HIV and AIDS resource gap, HFG is working with national and state level entities responsible for the HIV and AIDS response, to mobilize more domestic resources for the response. In collaboration with the State Agencies for the Control of AIDS (SACA) and the Strengthening Integrated Delivery of HIV/AIDS Services (SIDHAS) project, HFG helped develop resource mobilization strategies in four states: Akwa Ibom, Cross River, Lagos, and Rivers. These strategies, the first-ever at the state level in Nigeria, are designed to stimulate both public and private spending for the HIV and AIDS response. In partnership with state institutions, HFG is supporting the implementation of specific parts of each strategy. Nigeria ranks among the top five high-burden TB countries worldwide; 11th among the 27 high multi-drug resistant (MDR-TB) burden countries. One issue the country faces in combating the highly contagious disease is a lengthy diagnostic and reporting process partly due to a reliance on paper records, overburdened labs, and slow data transit systems. This inhibits the ability of the National Tuberculosis and Leprosy Control Programme (NTBLCP) to account for and enroll patients diagnosed with TB in a timely manner. The time lag between testing and diagnosis means more spread of the disease. HFG works with the NTBLCP to introduce technology that speeds up the diagnostic and treatment processes. To address this health system constraint, the HFG project supported the NTBLCP’s implementation of an innovative, mobile-based solution in 46 laboratories across the country. The software drastically shortens the reporting period, resulting in faster patient diagnosis and referrals to treatment. Spurred by the software’s successful improvement of data system and patient management in Nigeria for TB patients, the NTBLCP enlisted the support of HFG in scaling up to 250 more TB facilities across the country. HFG partnered with the NTBLCP to scale up the use of smartphones in supportive supervision for TB patients. The use of smartphones for supportive supervision of TB patients works to efficiently manage information; improve the quality of feedback; track, diagnose, and treat TB and TB/HIV co-infections; and inform strategic evidenced-based actions in TB facilities. The program’s rapid growth from 16 facilities to over 500 in only 2.5 years is an example of how powerful a tool mobile technology can be to improve the quality of care. Weak infrastructure and limited human resources for health severely inhibit Nigerian state governments’ ability to make quality MNCH care available to their populations. Impactful investment in both infrastructure and the health workforce requires strong, timely evidence. In partnership with JHPIEGO, Pathfinder International, and the World Bank, HFG is supporting five states (Bauchi, Cross River, Ebonyi, Kogi, and Sokoto states) in conducting MNCH service availability and readiness assessments. The assessments for Ebonyi, Kogi, and Cross River states have been completed. Findings from the assessments will be available for use by policymakers and other stakeholders to make evidence-based MNCH investments across the country. Preliminary findings from the first three states confirm that more than half of facilities lack skilled health workers, the distribution of skilled health workers is skewed in favor of urban facilities, and in-service training of health workers is skewed in favor of urban health workers. The study also provided new information about private sector facilities and quantified infrastructural needs, as well as health worker numbers and skills gaps.